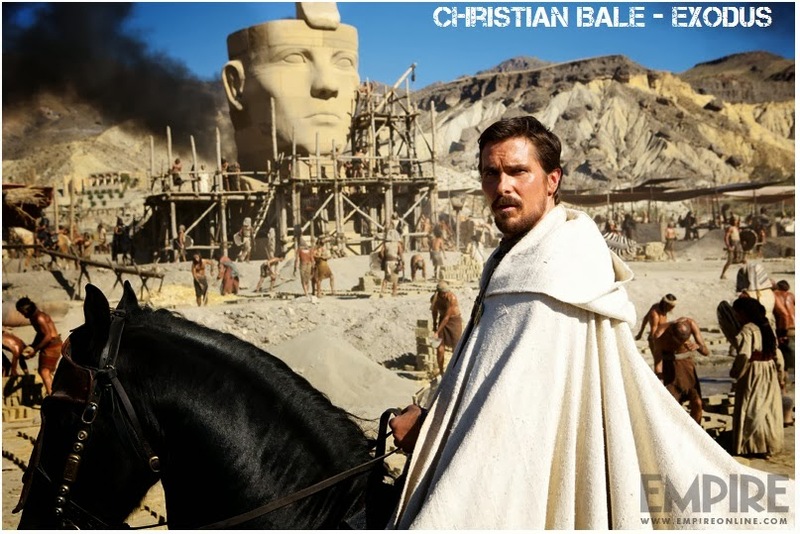 Before we continue what we started yesterday - spotlighting January and February 2014 epic and fantasy movies - you can check out the first picture of Christian Bale as Moses in Ridley Scott's upcoming historical epic EXODUS! 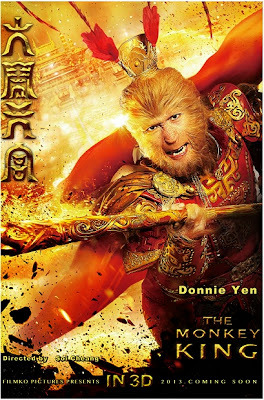 Sigourney Weaver and John Turturro play Egyptian rulers, Joel Edgerton is Pharaoh Rhamses while Aaron Paul plays Joshua! 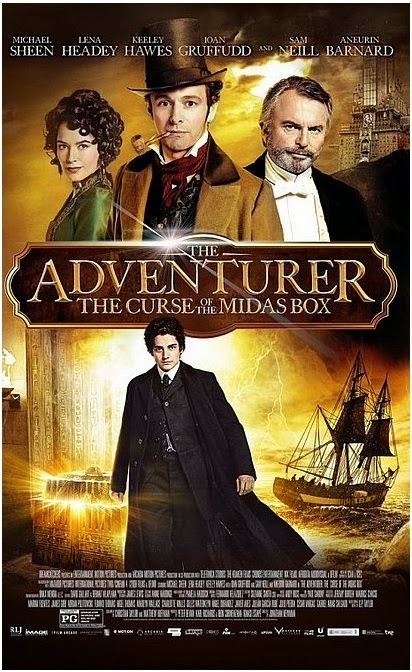 The tenth of January also brings us THE ADVENTURER: THE CURSE OF THE MIDAS' BOX. In this fantasy adventure, seventeen-year-old Mariah Mundi’s (Aneurin Barnard) life is turned upside down when his parents vanish and his younger brother is kidnapped. Following a trail of clues to the darkly majestic Prince Regent Hotel, Mariah discovers a hidden realm of child-stealing monsters, deadly secrets and a long-lost artefact that grants limitless wealth – but also devastating supernatural power. With the fate of his world, and his family at stake, Mariah will risk everything to unravel the Curse of the Midas Box! 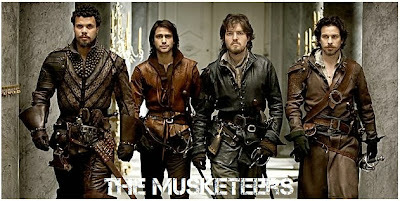 Michael Sheen, Sam Neil, Lena Headey and Ioan Gruffudd also star! But the real heat awaits us in February, not because of sweet and hot St. Valentines kisses, but because POMPEII will erupt in cinemas. Set in the days leading up to the eruption of Mt. 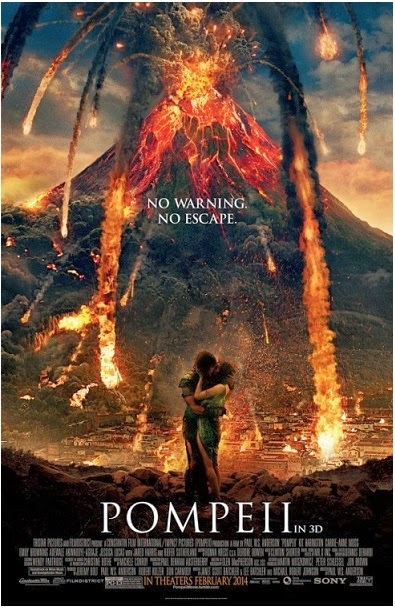 Vesuvius, the historical epic adventure film will see GAME OF THRONES' Kit Harington playing a slave on a ship heading for Naples who works to get home to save the woman (Emily Browning) he loves and his best friend, a gladiator trapped inside the city's coliseum! As the city is slowly buried in volcanic ash, he also comes face-to-face with the murderer of his family. Kiefer Sutherland and Carrie Anne Moss play Emily Browning's parents! And I won't leave you today without wishing you the happiest next year which arrives tonight! Hope 2014 will bring you love, money and lots of success. If you're going to a wild party tonight have fun, or if you're like poor little me, good luck in choosing the comfiest pyjamas to spend the evening in tonight! 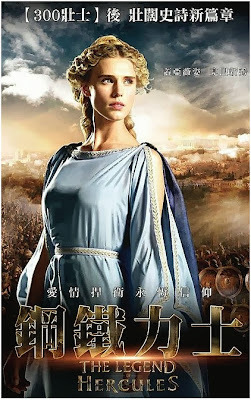 Since your trusted HOLLYWOOD SPY is one of web's leading sites on historical and fantasy movies, we shall spend the last two days of 2013 spotlighting historical and fantasy movies that will hit cinemas in the first two months of 2014. From THE LEGEND OF HERCULES, POMPEI, 300, I, FRANKENSTEIN, MALEFICENT, HERCULES THE THRACIAN WARS, DRACULA UNTOLD and then HOBBIT 3, next year will bring us more epic movies than we've been used to before. 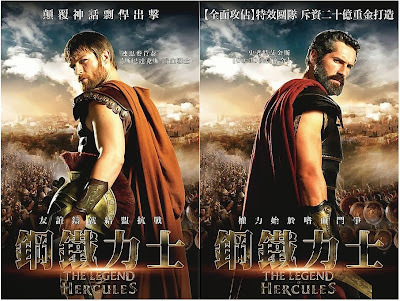 The 10th of January will take us to the time of mythical legends with the premiere of epic adventure THE LEGEND OF HERCULES in which Kellan Lutz stars as the mythical Greek hero - the son of Zeus, a half-god, half-man blessed with extraordinary strength. Betrayed by his stepfather, the King, and exiled and sold into slavery because of a forbidden love, Hercules must use his formidable powers to fight his way back to his rightful kingdom. Through harrowing battles and gladiator-arena death matches, Hercules embarks on a legendary odyssey to overthrow the King and restore peace to the land! SPARTACUS star Liam McIntyre is also in the cast, playing Hercules' friend and sidekick, captain Sotirus. 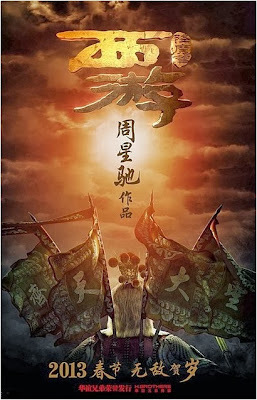 Directed by Renny Harlin, the historical adventure also has Scott Adkins, Johnathon Schaech and Roxanne McKee in the cast. You can read more about the film in HOLLYWOOD SPY's spotlight on the historical adventure. Two weeks after the Greek heroes leave our cinemas, the big screens will face the attack of horror monsters in I, FRANKENSTEIN. 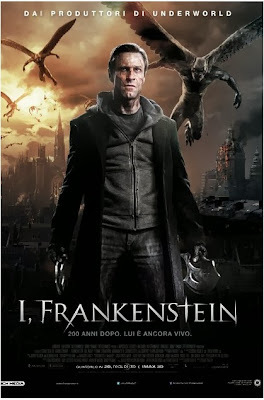 Aaron Eckhart plays Frankenstein's monster, named Adam who, having taken the surname of his creator, becomes involved in a war between two immortal clans in an ancient city. Bill Nighy plays Naberius, leader of the demons and one of the original fallen angels who fell from Heaven during Satan's rebellion against God. LORD OF THE RING's Miranda Otto is Leonore, queen of the gargoyles, with SPARTACUS star Jai Courtney appearing as Gideon, leader of the gargoyle army. TV star Yvonne Strahovski takes the lead female role as Terra! 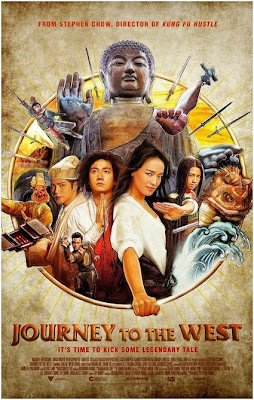 It's a very poor postfestive week in movie news business, people, so the only thing I have for you this weekend is the new trailer for Asian epic adventure JOURNEY TO THE WEST which will come to US theatres in March next year. 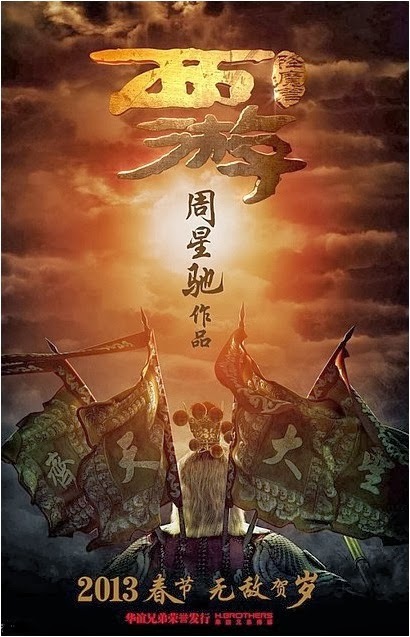 Directed by Stephen Chow, whom you know from his previous Asian hits SHAOLIN SOCCER and KUNG FU HUSTLE, this epic fantasy comedy adventure revolves around a demon hunter Xuan Zang (Zhang Wen), who goes on a journey with three demons to atone for his sins. SPOTLIGHT ON BBC'S NEW HISTORICAL ADVENTURE TV SERIES 'THE MUSKETEERS' WITH LUKE PASQUALINO, SANTIAGO CABRERA, PETER CAPALDI, HUGO SPEER! FIRST TRAILER AND NEW PICTURES! 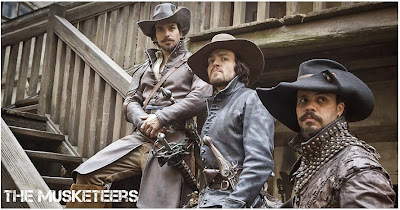 January is usually a very poor month in television and movie business, people, with mostly nothing to watch, but this year, beside the naughty pirates of BLACK SAILS which will sail into the small screens over at Starz, we shall also see legendary THE MUSKETEERS swording their way into BBC ONE in the first month of 2014! 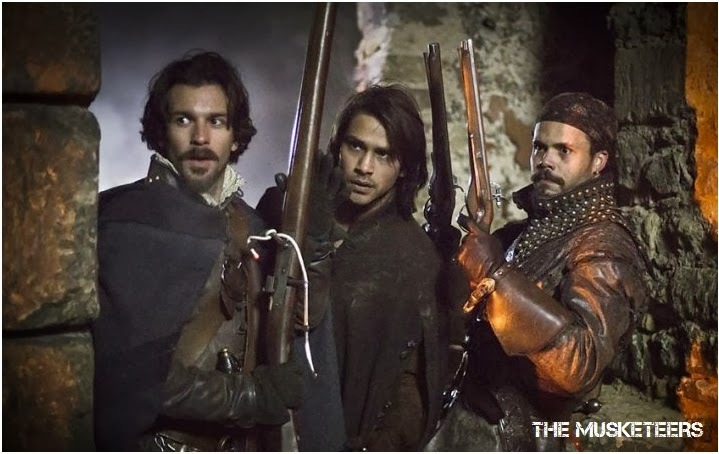 The British channel has just released the first trailer for their upcoming historical adventure series which you can check out below the spotlight. 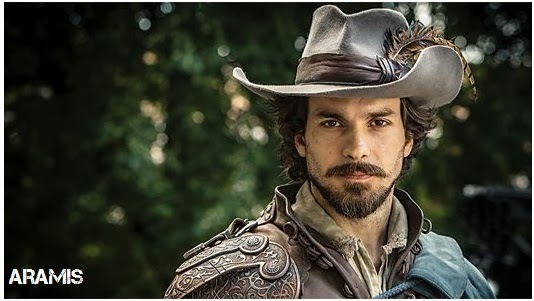 The ten-part TV drama, based on the classic novel by famous Alexandre Dumas, will see 'Skins' hunky star Luke Pasqualino playing D'Artagnan, 'Merlin's heartthrob Santiago Cabrera playing Aramis and 'Doctor Who's' Peter Capaldi playing Cardinal Richelieu. escapism, adventure and romance and is set to thrill audiences with cracking stories! With the cast also including Alexandra Dowling as Queen Anne and Ryan Gage as King Louis XIII, THE MUSKETEERS will also air over at BBC America later next year. 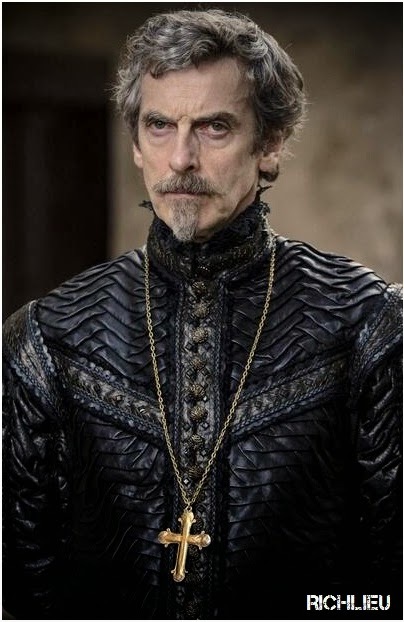 It is still not known whether the role of Richlieu will be recast if the show gets second season given the fact that after the shooting of the opening season, Peter Capaldi got the lead role in DR. WHO. WHAT HAPPENS IN 1ST EPISODE? In the first episode, the brightest musketeers of the King’s Regiment – Athos, Porthos and Aramis – are dispatched by Captain Treville to find a missing musketeer carrying important letters on behalf of King Louis. 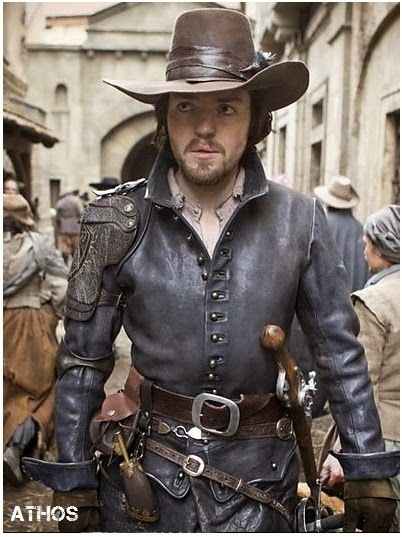 But Cardinal Richelieu has plans to increase his political power and seeks to sabotage the good reputation of the musketeers. 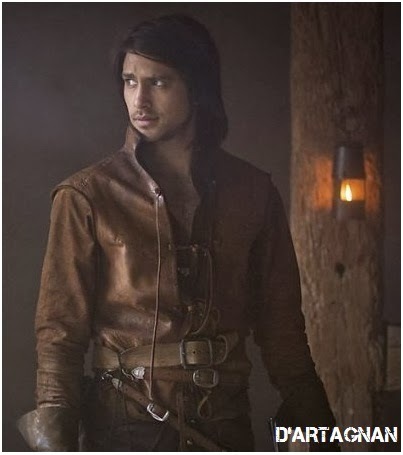 Meanwhile, d’Artagnan travels from his family farm in Gascony to Paris to petition the king, but his peaceful plans are turned upside down when he is forced to find the Musketeers and seek vengeance for the brutal murder of a loved one. Will d’Artagnan bring the murderer to justice, and can the Musketeers protect king and country? 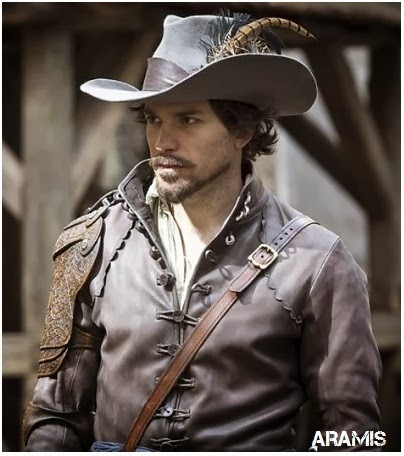 Or will the Cardinal triumph with the help of the beautiful and dangerous Milady? SPOTLIGHT ON ENCHANTING FANTASY ROMANCE 'WINTER'S TALE' WITH COLIN FARRELL, RUSSELL CROWE, JESSICA BROWN FINDLAY, WILL SMITH, MATT BOMER! 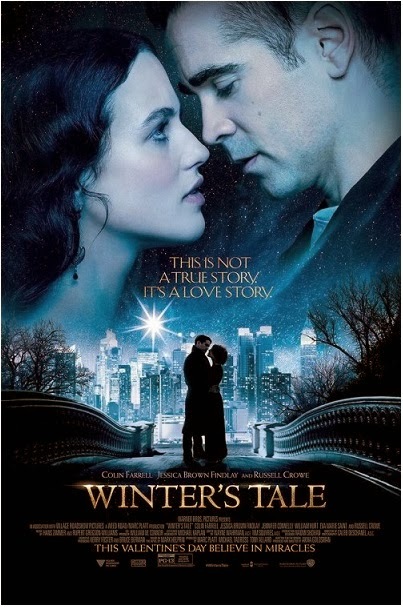 One of the enchanting magical movies ready to spellbind your late winter at the beginning of February around St. Valentines is fantasy drama and romance WINTER'S TALE with Colin Farrell, Russell Crowe and Jessica Brown Findlay. The directorial debut of Academy Award Winning screenwriter Akiva Goldsman (A BEAUTIFUL MIND), who also wrote the script for this $50 million romantic film, is based on a novel of the same name written back in 1983 by Mark Helprin. Set in a mythic New York City and spanning more than a century, WINTER'S TALE is a story of miracles, crossed destinies, and the age-old battle between good and evil. 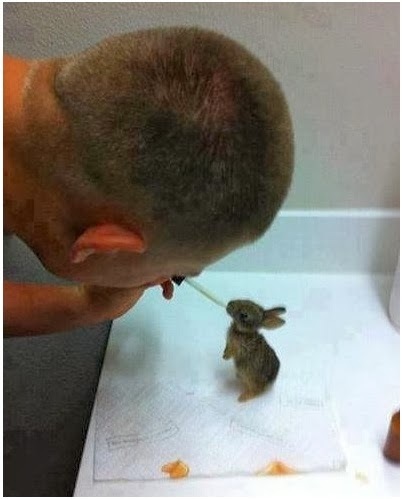 THIS IS NOT A TRUE STORY, THIS IS TRUE LOVE! Back in 1916, New York City is subsumed in arctic winds, dark nights, and white lights, its life unfolds, for it is an extraordinary hive of the imagination, the greatest house ever built, and nothing exists that can check its vitality. One night in winter, Peter Lake (Colin Farrell), orphan and master-mechanic, attempts to rob a fortress-like mansion on the Upper West Side. 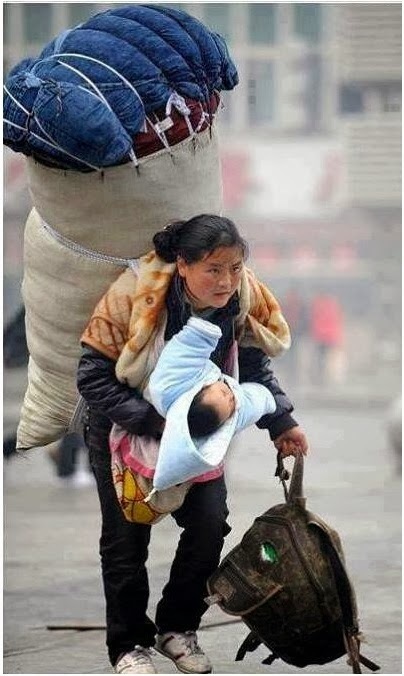 Though he thinks the house is empty, the daughter of the house is home. In an unexpected turn of events this event starts the love between Peter, a middle-aged Irish burglar, and Beverly Penn (Jessica Brown Findlay), a young girl, who is fatally ill and is dying. 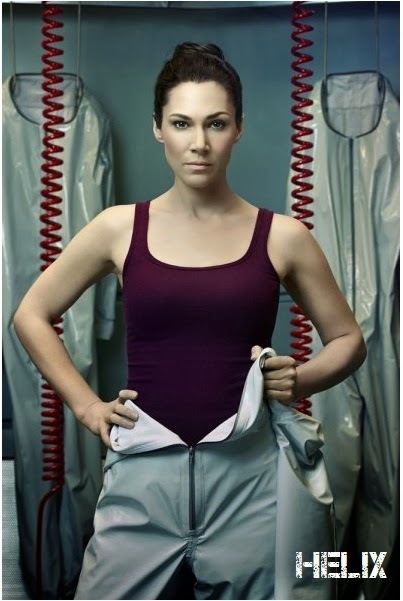 Peter believes that his love could save her. 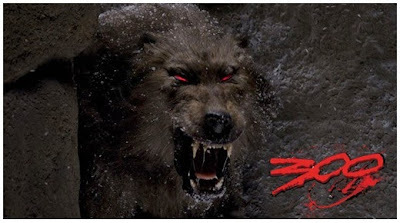 At the same time Lake is saved from the Irish insane gangster Pearly Soames (Russell Crowe), for whom he used to work and is now running from, and his gang of thugs by Athansor, a mysterious white horse who becomes his guardian angel. But when Pearly finally catches up with our hero and he seems doomed, something strange happens: he shows up in present-day Manhattan having lost his memory and befriends Virginia (Jennifer Connelly), who helps him explore his past. In the star studded cast Colin Farrell stars as Peter Lake, Russell Crowe as Pearly Soames, DOWNTON ABBEY's Jessica Brown Findlay as Beverly Penn, Jennifer Connelly as Virginia Gamely, William Hurt as Isaac Penn, Eva Marie Saint as adult Willa, Will Smith as Judge, Matt Bomer as Peter's father, Lucy Griffiths as Peter's mother! Kevin Durand, Graham Greene and Fin Wittrock are also starring. 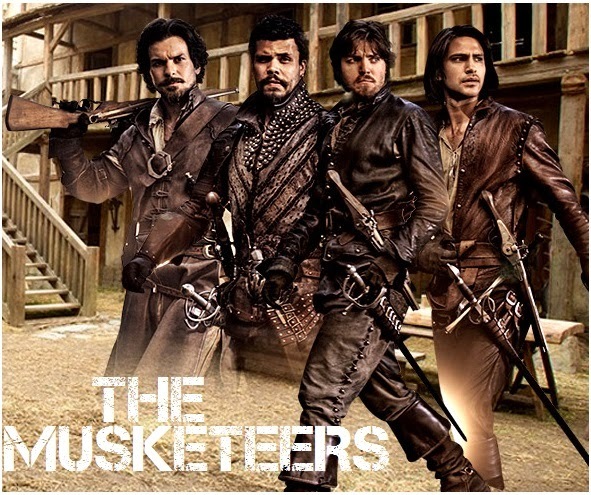 Tom Hiddleston and Lily Collins were originally wanted for the roles (what a magnificent cast that would've been), and in the case that Colin Farrell hadn't accepted the lead role Akiva Goldsman also had in mind Welsh star Luke Evans, Liam Hemsworth, Benjamin Walker and Aaron Johnson! Oscar winner Hans Zimmer is composing the music for the movie. 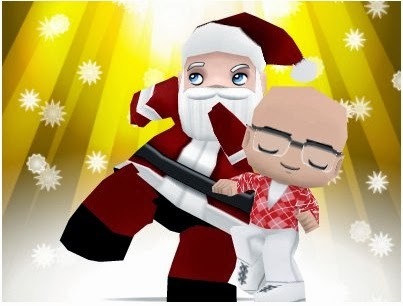 To all of you who are celebrating today around the world, HOLLYWOOD SPY wants to wish happy holidays, lots of love and warmth and positivity. 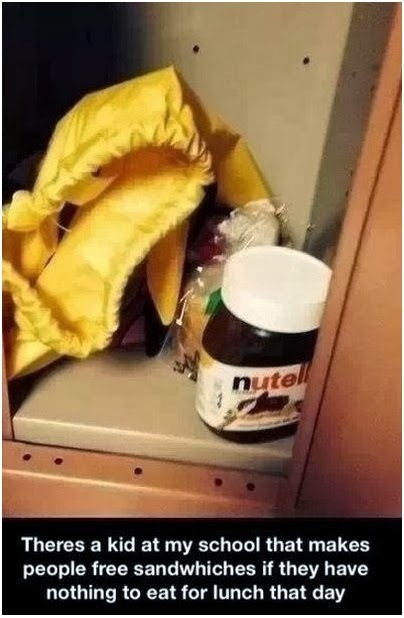 Don't forget the unprotected ones! 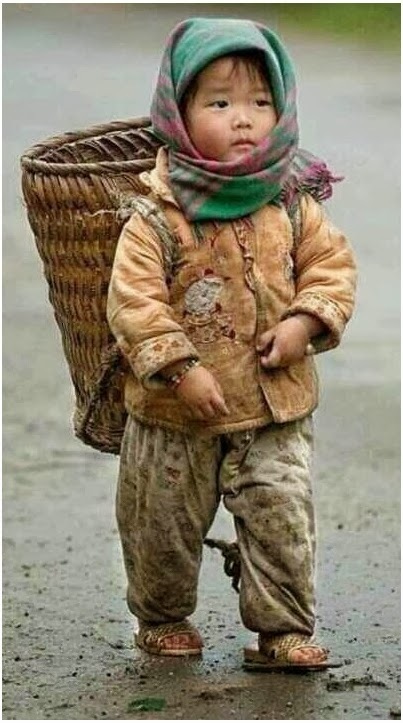 Don't forget those who have nothing! 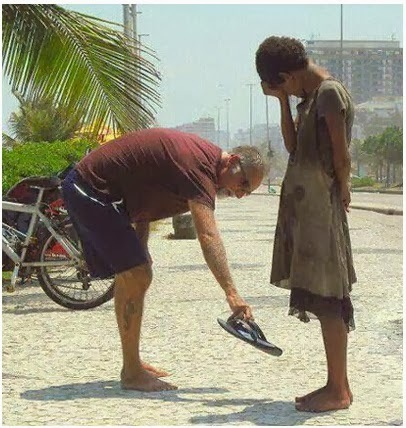 Don't forget to be kind! Don't forget to share what you have! 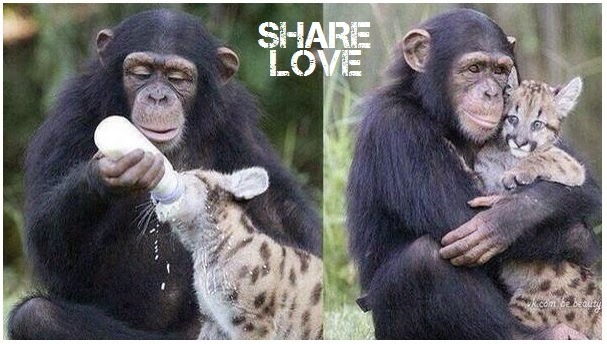 Don't forget the loving ones! 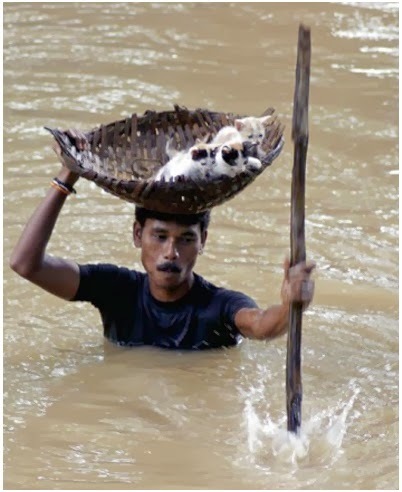 Don't forget to be human! 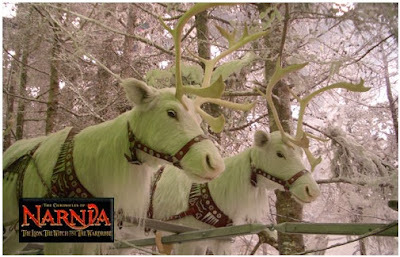 Have warm holidays and we return tomorrow with movie news! Since apocalyptic projects are very trendy these days, here's the latest one from the genre: LOST star Matthew Fox and BURN NOTICE's Jeffrey Donovan will lead the cast in WELCOME TO HARMONY horror thriller movie. In the English-language big screen début for Spanish director Miguel Angel Vivas the two hunky television stars will play two men living in a remote village who are mysteriously spared from the effects of a worldwide infection together with a young girl. 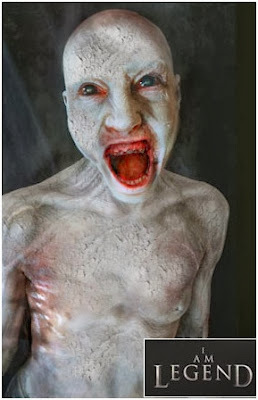 The horror film will probably start with production next February in Serbia or Bulgaria. Jeffrey Donovan has recently played Robert Kennedy in J.EDGAR, while Matthew Fox has played in WORLD WAR Z (you haven't seen him if you blinked) and in war drama EMPEROR. 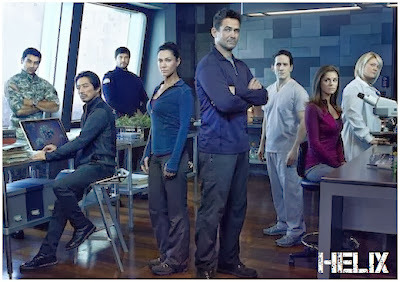 In TV news, you can first check out new character and cast photos from SyFy's upcoming polar set thriller sf series HELIX which will freeze its spot on the small screens on January 10th! HELIX is an intense thriller about a team of scientists from the Centre for Disease Control who travel to the high-tech research facility, Arctic BioSystems, to investigate a possible disease outbreak, only to find themselves pulled into a terrifying life-and-death struggle that may hold the key to mankind’s salvation or total annihilation. However, the lethal threat is just the tip of the iceberg, and as the virus evolves, the chilling truth begins to unravel. 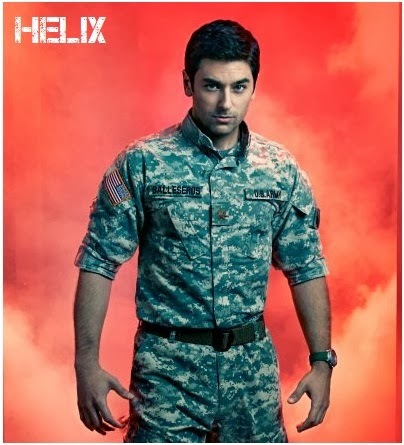 Mark Ghanime stars as Sergio Balleseros, Hiroyuki Sanada as Hiroshi Hataki, Meegwun Fairbrother as Daniel Aerov, Kyra Zagorsky as Julia Walker, Billy Campbell as Alan Farragut, Neil Napier as Peter Farragut, Jordan Hayes as Sarah Jordan, Catherine Lemieux as Doreen Boyle! 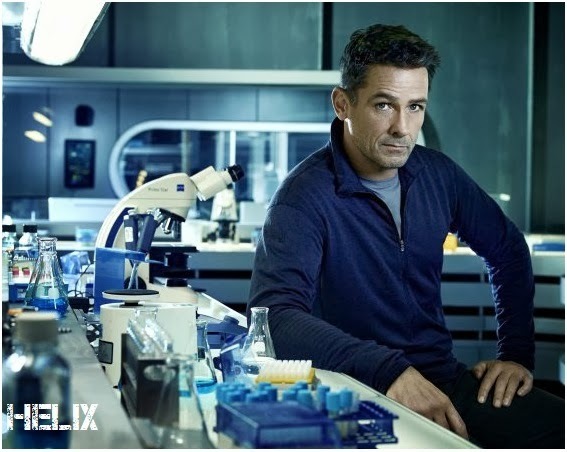 The thirteen episode series will also have STAR TREK star Jeri Ryan playing Constance Sutton, the chief operating officer of Ilaria Corporation, owner of Arctic Biosystems, charming and savvy, used to getting her way at any cost. 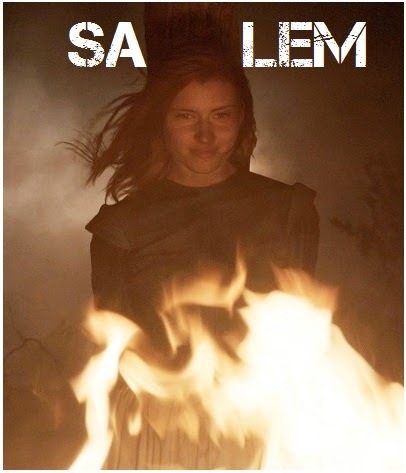 One of the historical TV series that we can expect in 2014 is SALEM for which WGN America has just released the first spooky teaser. Set in the volatile world of 17th century Massachusetts, it explores what really fueled the town’s infamous witch trials and centres on Mary Sibley (Janet Montgomery), the beautiful, ruthless but vulnerable wife of an ancient, ailing but very wealthy Salem town Selectman. STAR TREK'S Brannon Braga is producing with the cast which also includes Seth Gabel, Shane West, Ashley Madekwe, Xander Berkeley, Tamzin Merchant and Elise Eberle. 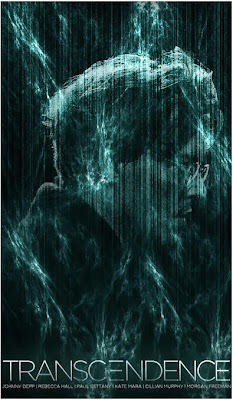 'TRANSCENDENCE' TRAILER WITH JOHNNY DEPP, PAUL BETTANY, CILLIAN MURPHY, MORGAN FREEMAN! REECE RITCHIE IS PHARAOH IN 'HIEROGLYPHS' ANCIENT EGYPT SHOW! 'FINDING DORY', 'HOW TO TRAIN YOUR DRAGON 3' & 'ICE AGE 5' TO BATTLE IN SUMMER 2016! Earlier this year I announced that Fox is preparing Ancient Egypt epic TV series HIEROGLYPHS and now we have the first casting choice. 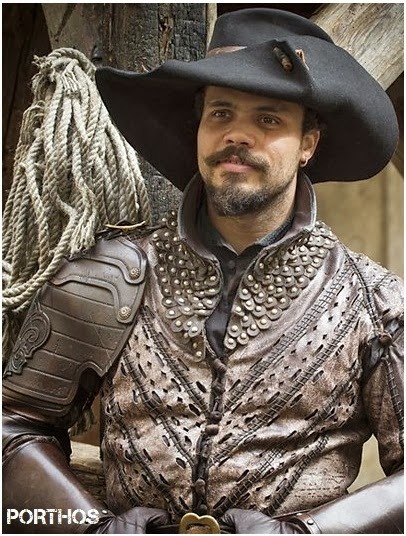 'Deadline' reports that Reece Ritchie (10,000 BC, HERCULES, LOVELY BONES, PRINCE OF PERSIA) will play the Pharaoh in the 13 episode historical adventure set in ancient Egypt, where fantasy and reality intertwined. It follows a notorious thief who is plucked from prison to serve the Pharaoh, navigating palace intrigue, seductive concubines, criminal underbellies and even a few divine sorcerers. Reece Ritchie’s Shai is the young, handsome Pharaoh who rules with an iron fist and fully trusts no one. He is obsessed with maintaining power over his kingdom, which he’ll do by any means necessary. Peter Chernin (TERRA NOVA) is producing! Speaking of ancient Egypt, ICE AGE 5 has just been given the release spot in July 2016 which previously belonged to another of Fox Animation animated films ANUBIS. The same summer, June 2016 will also see the battle of other two animated sequels Pixar's FINDING DORY and Dreamworks' HOW TO TRAIN YOUR DRAGON 3! ANUBIS, which has now been pushed to 2018, follows Dr. George Henry, who finds himself condemned to the Egyptian Underworld after succumbing to an ancient Mummy curse. The doctor's son Henry sets off on an adventure to free his father, and must battle various monsters of all shapes and sizes as he plunges through the depths of this fantastical Underworld. 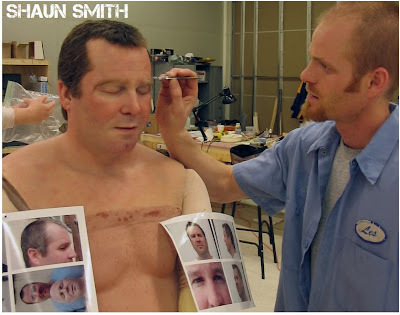 Dr. Will Caster (Johnny Depp) is the foremost researcher in the field of Artificial Intelligence, working to create a sentient machine that combines the collective intelligence of everything ever known with the full range of human emotions. 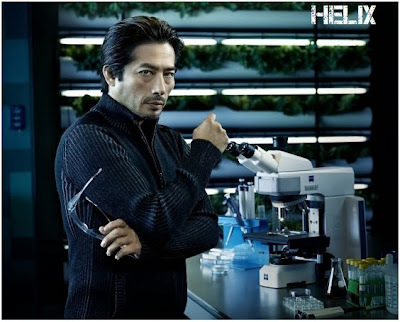 His highly controversial experiments have made him famous, but they have also made him the prime target of anti-technology extremists who will do whatever it takes to stop him. However, in their attempt to destroy Will, they inadvertently become the catalyst for him to succeed - to be a participant in his own transcendence. For his wife Evelyn (Rebecca Hall) and best friend Max Waters (Paul Bettany), both fellow researchers, the question is not if they can... but if they should. Their worst fears are realized as Will's thirst for knowledge evolves into a seemingly omnipresent quest for power, to what end is unknown. The only thing that is becoming terrifyingly clear is there may be no way to stop him. Coming to cinemas next April the film also stars Morgan Freeman, Cillian Murphy and Kate Mara.